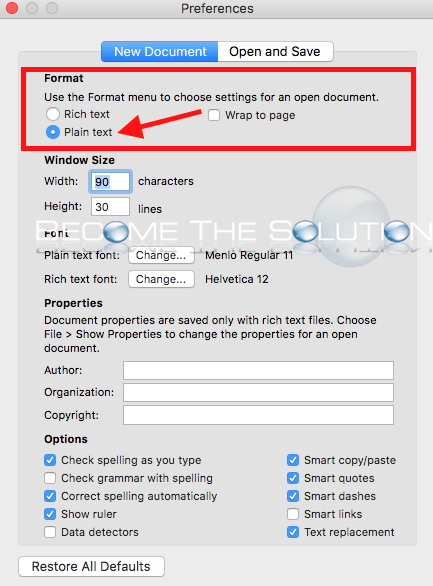 You can force TextEdit to open as a plain text document by default. Sometimes users prefer to work and save in plain text versus rich text documents. This option is configured in preferences. Follow the steps below. Open TextEdit and go to TextEdit -> Preferences. Under Format, select Plain text. Now, TextEdit will open each time with a new plain text document.